Mumbai(PTI) After playing a Bihari migrant in “Udta Punjab”, Alia Bhatt is set to play the role of a Kashmiri girl in Meghana Gulzar’s espionage thriller “Raazi”. 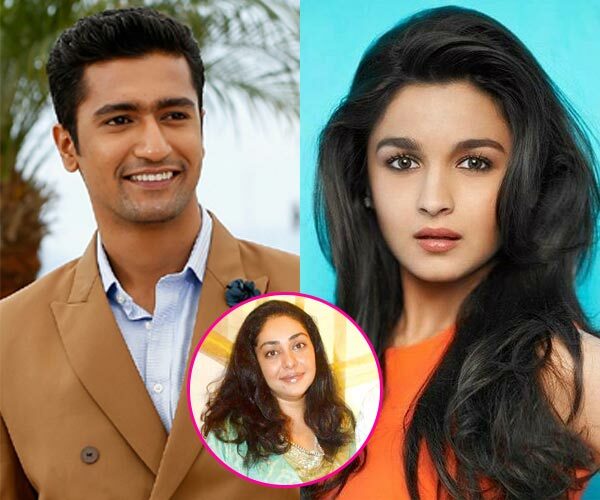 The film will see Alia’s character married to a Pakistani army officer, which will be played by “Masaan” actor Vicky Kaushal. The movie is produced by Junglee Pictures and Dharma Productions and is based on Harinder Sikka’s novel, “Calling Sehmat”, a thrilling saga of a spy who gave all of herself and that of her family in the service of her nation, so that all may live in peace. “An honour to be a part of Raazi. Thank You sir,” he wrote.While, Alia simply retweeted Karan’s post in which he revealed the details about the movie. Alia Bhatt is set to play the role of a Kashmiri girl in Meghana Gulzar's espionage thriller "Raazi".